Many in the form of a high ladder experiencing irritation and frustration, trying whenever possible to use the elevator. But sometimes simply no other way. But then all efforts are rewarded handsomely - before the eyes appear amazingly inspiring stairs designs scenery. 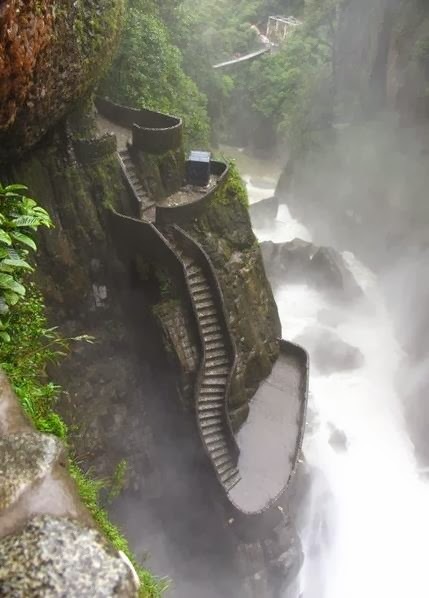 Steps lead up to one of the most famous waterfalls in South America - Pailon del Diablo, located near the Ecuadorian town of Banos. With its Spanish name translates as Devil's Cauldron. Stairs constantly hiding behind the mist and clouds of fine spray. Unusual step well is part of the temple Harshat Mata. Steps lead down to a large swimming pool, built in the 8th century to collect and store rainwater. This is one of the largest reservoirs in India. 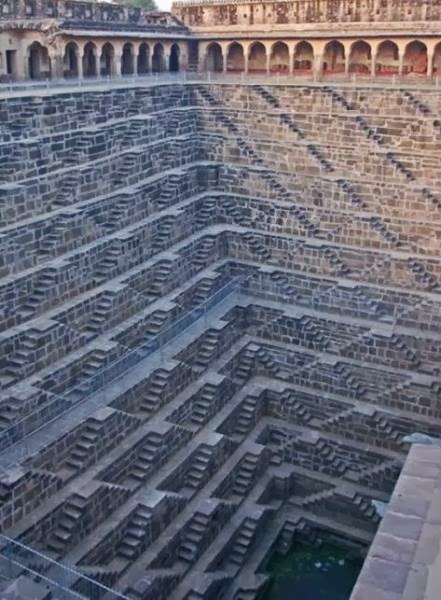 Total 3500 steps in the well, forming 13 layers. His depth of about 30 meters . 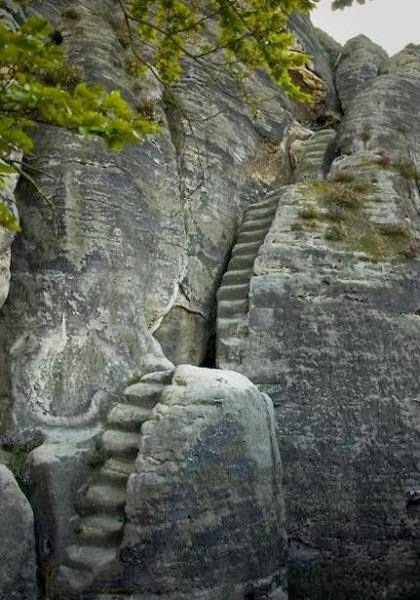 487 steps appeared right in the Elbe Sandstone rock by water and wind somewhere in the 13th century, but in the 18th century, they were corrected and expanded. Who raised them mostly tourists who come to Dresden. Rock Guatapé Antioquia - this stone monolith height of 220 meters. Staircase built of concrete building on the natural crevices. To climb to the top, you need to overcome the 702 steps. 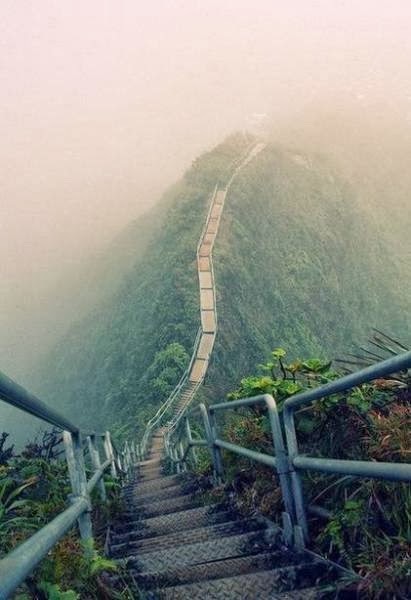 Haiku Stairs on the island of Oahu, Hawaii. On the small island of Oahu, Hawaii, you can take a fascinating journey through the Haiku stairs , consisting of 3922 steps. Built it in 1942, and then in the 50s of the last century modernized. Overall length of 850 meters. The ancient trade route linking the Peruvian city of Cusco and Machu Picchu, looks very unusual. 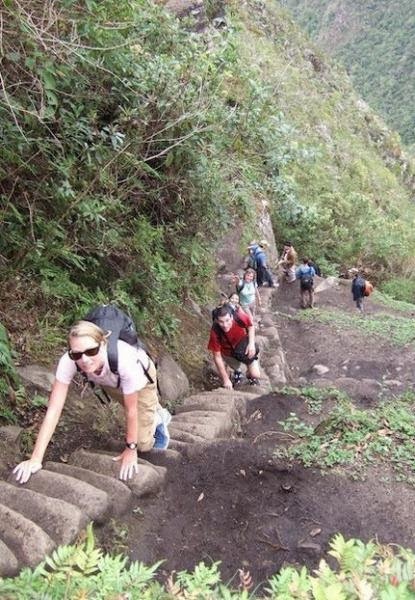 In the context of the difficult terrain Incas had no choice but to build a trail through the mountains. The result is staggering: many miles is very unreliable and dangerous steps. 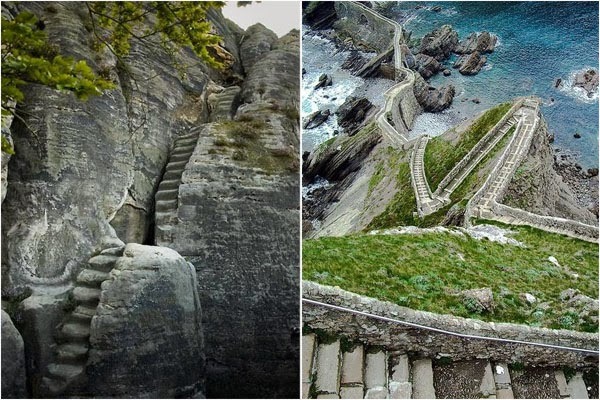 Endless stairs to the rocky coast of Spain, leading to a small chapel of the 10th century the Templars. 231 step for a long time remained a strange dent. Say it traces of John the Baptist. 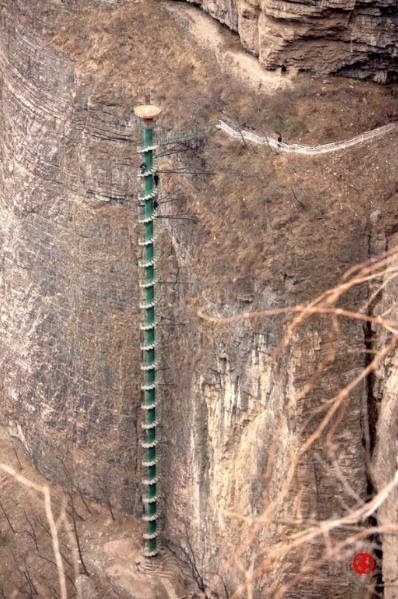 Recently in China Taihang Mountains was a spiral staircase height of 100 meters. It certainly beats the stair skyscraper Stairscraper , but still attracts many tourists. Before you allow those who want to climb up, they are asked to sign a document stating that they have no problems with the heart and lungs. Tourists over 60 years old are not allowed on the ladder. Staircase carved into the rock leads to the top of Wayna Picchu. Lifting takes an average of an hour and a half. On the day allowed to climb only 400 tourists. Originally it was intended to serve hydroelectric Florli, Norway. This is the first in the world's longest wooden staircase - 4444 steps of 740 meters. Hydroelectric power does not work anymore, so the ladder is open to all wishing to engage in hiking.